The Hong Kong branch of Tongmenghui set up reception centres to provide safe havens for revolutionaries. The artwork is originated as “an opened history book” to represent part of the history of Tongmenghui. Dr Sun Yat-sen founded the Tongmenghui (Chinese Revolutionary Alliance) in Tokyo, Japan in 1905 and served as its first leader. The Hong Kong branch was established by the end of the same year, and it set up reception centres on Caine Road, Po Hing Fong, Morrison Hill Road, Lan Kwai Fong and Queen’s Road to provide safe havens for revolutionaries. “An opened history book” as the origin of the artwork, this is one of the chapters of Dr Sun Yat-sen Historical Trail. 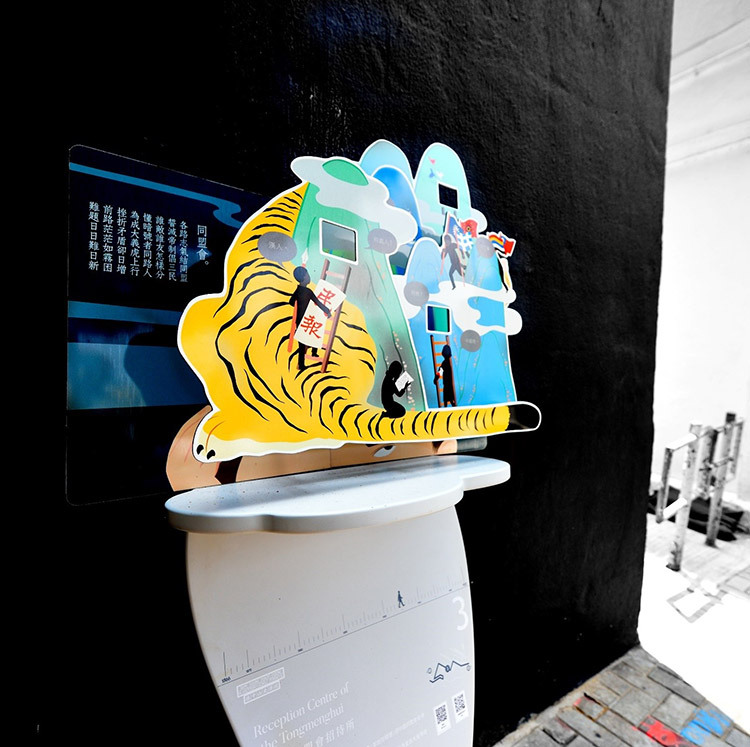 The feelings and fantasies triggered by the history of Tongmenghui transform into various images and form a pop-up book. By connecting the content of the book to various incidents of Tongmenghui, it deepens the public understanding on this revolutionary organisation. Born and raised in Hong Kong, Leung Ka Yin was graduated from The Chinese University of Hong Kong (BA(Fine Arts), 2000; MFA, 2007). She combines the elements of traditional Chinese painting and popular culture in her paintings, depicting her feeling and fantasy towards modern life. Her artworks have been exhibited in Hong Kong and overseas.